We ARE NOW taking reservations for the 2019 Packer. Thursday, August 8 HOUSTON TEXANS (Midwest Shrine Game) 7 p.m.
2 Thursday, August 15 at Baltimore Ravens 6:30 p.m.
4 Thursday, August 29 KANSAS CITY CHIEFS (Bishop’s Charities Game) 7 p.m.
1 Thursday, September 5 at Chicago Bears 7:20 p.m.
2 Sunday, September 15 MINNESOTA VIKINGS 12 p.m.
3 Sunday, September 22 DENVER BRONCOS 12 p.m.
4 Thursday, September 26 PHILADELPHIA EAGLES 7:20 p.m.
5 Sunday, October 6 at Dallas Cowboys *3:25 p.m.
6 Monday, October 14 DETROIT LIONS 7:15 p.m.
8 Sunday, October 27 at Kansas City Chiefs *7:20 p.m.
9 Sunday, November 3 at Los Angeles Chargers *3:25 p.m.
10 Sunday, November 10 CAROLINA PANTHERS *12 p.m.
12 Sunday, November 24 at San Francisco 49ers *3:25 p.m.
13 Sunday, December 1 at New York Giants *12 p.m.
14 Sunday, December 8 WASHINGTON REDSKINS *12 p.m.
15 Sunday, December 15 CHICAGO BEARS *12 p.m.
16 Monday, December 23 at Minnesota Vikings 7:15 p.m.
17 Sunday, December 29 at Detroit Lions *12 p.m. 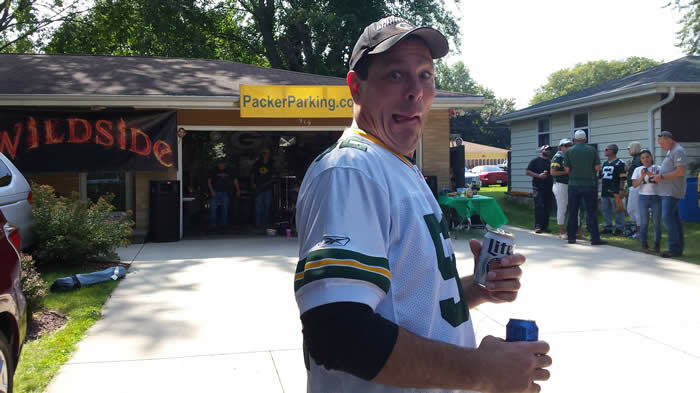 Thank you for parking at PackerParking.com for the 2017 Season. 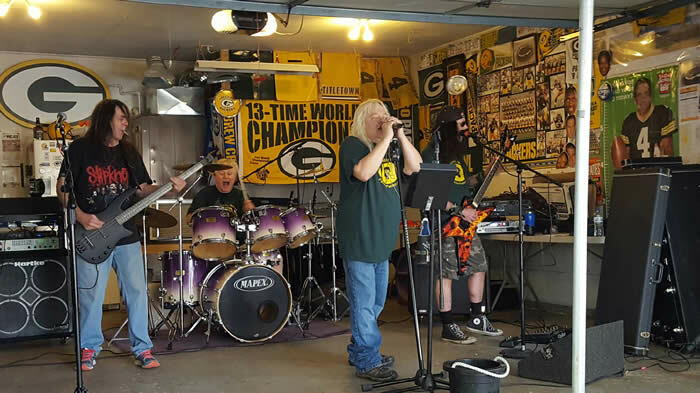 That was a great tailgate show for 2016 Packer Cowboys game. 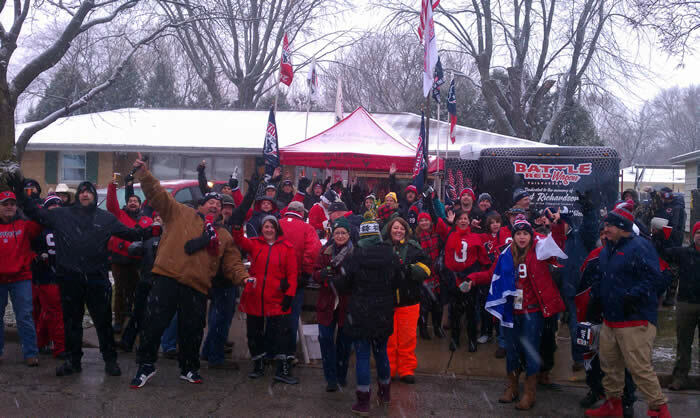 Many Packer fans prefer parking in front yards south of Lambeau Field. 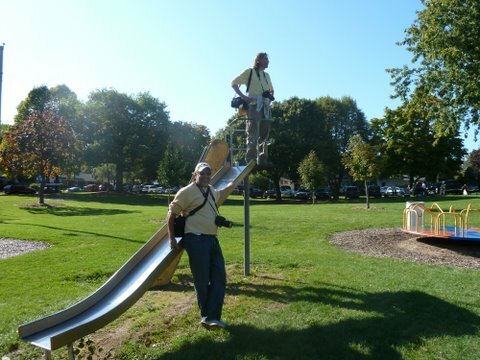 The best kept secret south of Lambeau Field parking lot is Skyline Park. 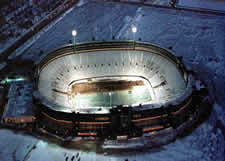 Lambeau Field Parking is limited. 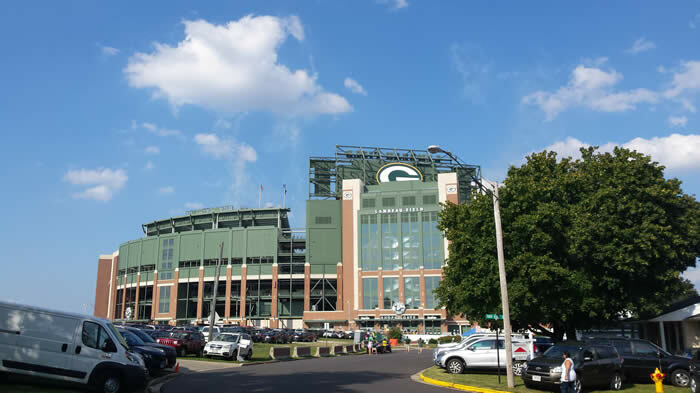 The latest known way to park at Lambeau Field without a season parking pass is to wait in line on Oneida St. about 3 or 4 hours before game time. Some say this does not happen very often. 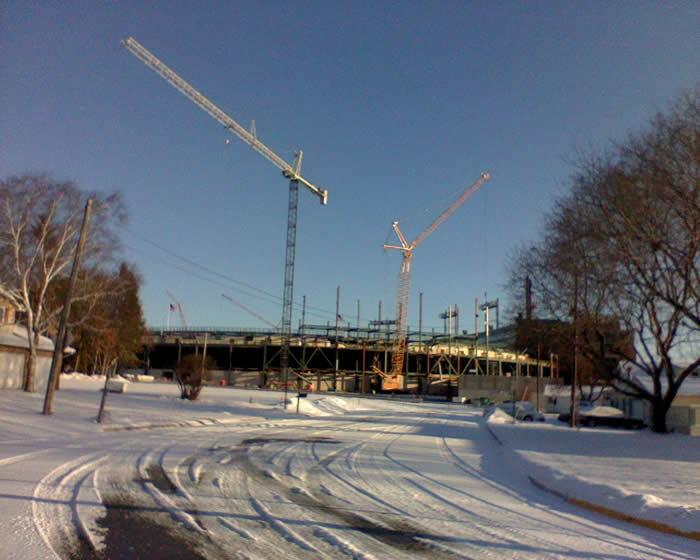 There may be only a few hundred "drive in" spots without a season pass. 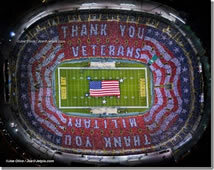 Some Packer fans that do not have a season ticket parking pass buy parking passes on the Lambeau Field Parking lot from eBay.com, but there are many "drive in" spots available for less on front lawns with help from the home owners that are willing to help with the latest information around town from fly overs to weather and directions. Just Ask. 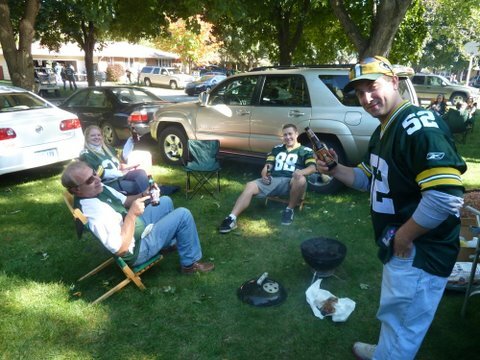 Many Packer fans park their cars to tailgate in the same spot and enjoy brats to burgers, and drinks from cola to beer. Some home owners have nice garages and TV's with many extra conveniences. Keep an eye out for these places when the weather becomes cold or rainy. Many have fun at Skyline Park with room to throw the football. Please be aware of the park rules, and they are posted. That means no beer in the park. Tailgate Party with Wildside 2017.